Amariz Brothers Creations & Designs is where customer ‘s satisfaction is our only priority. We understand that your referral is vital to the continuity of our business. All our products are carefully manufactured and finished in our facility, delivered and installed by our team giving you a piece of mind, especially when working in your home. We focus on providing our customers a quality product that is long lasting and work with you closely to ensue we make your dreams a reality. You wont be disappointed by the high end work we complete for your home. Richwood Quality Kitchen and Bath is a family owned business dedicated to providing quality cabinetry at affordable prices. Being in the renovation business for over 15 years, we know what it takes to keep projects on time and on budget. We are committed to provide our residential and commercial customers with up to date styles and finishes and are continually revising our lines to reflect new trends and the craftsmanship that our customers desire. Fully customized, semi customized or flat box, Richwood Quality Kitchen and Bath has the right cabinetry for you and your project. 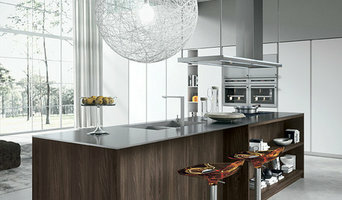 Alenia Kitchens + Interiors carries the finest in modern kitchens and bathrooms cabinetry made in Italy. We also have a wide range of furniture for your living room, bedroom, library, and children's areas. Call us for a complimentary consultation and design. Our Brands: Arrital*Altamarea*Novamobili*Doimo Design*Dall'Agnese*Devina Nais*Sedit*Batistella Your home. At it's best. When you think about cabinets, your mind probably goes straight to kitchens and bathrooms. 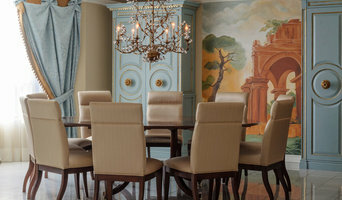 But Etobicoke cabinetry professionals’ abilities extend far beyond those obvious spaces. If you need built-in storage, shelving or custom case goods, no matter what the room or purpose, cabinetry experts can help. 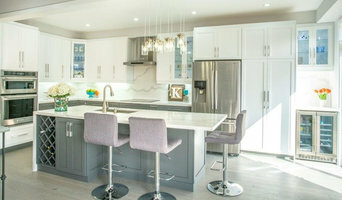 Their focus on details and space-planning skills can help you squeeze functionality from even the tiniest corners of your Etobicoke, ON home. In addition, Etobicoke, ON cabinetry pros can help you give worn or dated cabinets a makeover. They can replace doors; add glass inserts, decorative moldings and other details; or give cabinetry a new coat of paint or specialty finish. Your cabinetry professional might work closely with an Ontario kitchen designer, builder, remodeling contractor or interior designer. Here are some related professionals and vendors to complement the work of cabinets & cabinetry: Kitchen & Bath Designers, Kitchen & Bath Remodelers, Interior Designers & Decorators, Closet Designers and Professional Organizers, Woodworkers & Carpenters. Find a cabinetry professional on Houzz. Narrow your search in the Professionals section of the website to Etobicoke, ON cabinets and cabinetry. You may also look through Ontario photos to find examples of cabinets that you like, then contact the cabinetry professional who worked on them.